animated performance video produced during a residency at Five Years Gallery in October 2015. 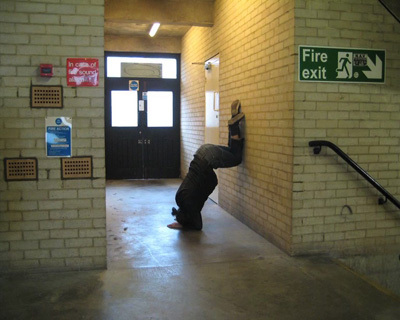 On the one hand it traces the architecture of the studio building including its CCTV cameras and on the other hand it formulates difficult attempts of crossing or entering as the person is moving on his back. It can be seen as site specific connecting the 'Backs to the Future' exhibition to its location.